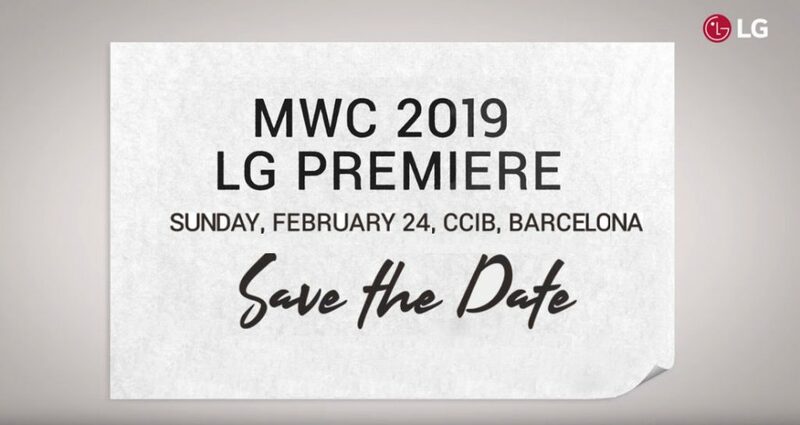 The LG has posted the teaser video on its social channels announcing its MWC 2019 LG Premiere in Barcelona on February 24th. MWC 2019 LG Premiere teaser says ‘Goodbye Touch’ hinting at gestures for the smartphone. As rumored earlier, we can expect the LG’s flagship G8 smartphone at the event. The LG G8 is said to be powered by Snapdragon 855, feature triple rear cameras, QHD+ notch display, 3.5mm audio jack with Quad DAC, glass back with metal frame and under-display cantilever-conduction speaker. A recent report revealed that LG’s 5G smartphone will be a part of a completely different series and will launch later in March of 2019. There was also a report that it will launch a smartphone with a second screen attachment for MWC 2019. The MWC 2019 LG Premiere takes place at CCIB (Centre de Convencions Internacional de Barcelona) on February 24th at 10 AM CET (2:30 PM IST). We should know more details in the coming weeks.